Is Herbal Essences Cruelty Free? Can we just start by talking about the most recent Herbal Essences ads? 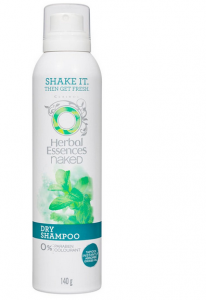 The voice-over boldly says “Take your hair to paradise” and then whispers, “go buy our shampoo.” It’s one of the cheekiest lines in advertising right now which I love, and it nicely sums up Herbal Essences. The brand is the perfect balance between playful and luxurious. The packaging is always super artsy and bright, and the product itself is full of pretty serious ingredients like coconut milk, argan oil, and sea kelp. These products have some of the best (if not the best) scents at the drug store, which, along with the antioxidant rich, soothing formulas can make your morning shower feel like a miniature spa experience! Get ready to get a feel for the essence behind Herbal Essences today in our Herbal Essences Company and Products Review! Introduced in 1972 as one shampoo called Clairol Herbal Essences Shampoo, Herbal Essences has transformed over time into a major player in the hair-care market. 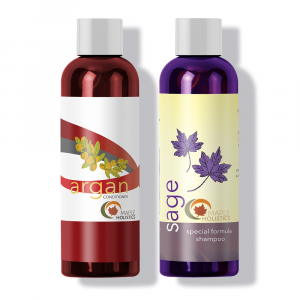 Herbal Essences was purchased by Procter and Gamble in 2001, and they managed to revive what, at the time, was a brand on a continuous decline in terms of both market value and customer response. They revamped packaging, gave collections funky names to appeal to, like, millennials, and focused on what set them apart from other brands in their sphere such as their layered scents and their commitment to natural, herbal ingredients. 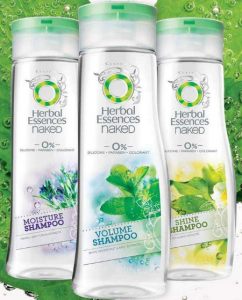 The Herbal Essence products are divided into cohesive lines and are meant to be used in tandem with one another. Their shampoo and conditioner bottles are shaped so that they fit together, and conditioner sales rose significantly after this change was made because it demonstrates that they work best when used together. [Side note: this is obviously a marketing technique, but research facilities do actually test out the products with the ones they are designed to be paired with and tweak them accordingly, so partner products often are most effective when used together.] Some of the collections too choose from are Body Envy (for volume), Totally Twisted (for curly hair) and Honey I’m Strong (for strengthening hair). They all smell awesome and deliver the benefits they claim to. The Naked collection is the ultimate embodiment of the principles at the brand’s core, which attracted people to Herbal Essences in the first place. The products are formulated without parabens, silicone’s, gluten or colorants. These also happen to be some of my personal favorite scents from Herbal Essences, but of course, that comes down to individual preference. The White Grapefruit & Mosa Mint Shampoo and Conditioner are moisturizing, but are not greasy at all, and give nice volume and body to the hair. The mint makes them really refreshing and gives you a subtle tingling sensation that stimulate the scalp and hair growth. Hair looks thicker and healthier, and feels softer. The Rosemary & Herbs Shampoo and Conditioner smells like rosemary, mint and sandalwood which is earthy and calming. 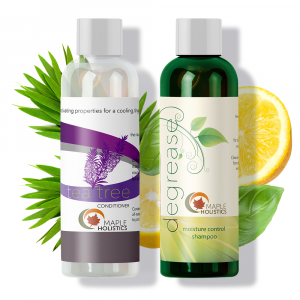 These are very similar to the White Grapefruit and Mosa Mint products, without the volumizing effect. These are called Naked Moisture, and they condition the hair beautifully without weighing it down. Both of these sets are formulated with Herbal Essences’ signature bio: renew which is a blend of antioxidants, aloe and sea kelp that helps wake up dull hair, reverse the appearance of ageing, strengthen the hair and guards against UV damage. It’s full of vitamin A, B1, B2, C, D, and E, as well as minerals zinc, iodine, magnesium, iron, copper and potassium, so the bio-renew products offer a multitude of benefits and nourish the hair. The White Grapefruit & Mosa Mint Dry Shampoo is pretty darn amazing. It has a clean, fresh scent which is important for a dry shampoo because you put more of it in your hair than some other hair care items. The peppermint feels refreshing on the scalp, and it doesn’t weigh down your hair. The product does not leave a white cast or any residue in the hair. Cucumber and Green Tea Dry Shampoo is also part of the Naturals collection so it is paraben, silicone and colorant-free and includes the bio: renew blend. It works really well absorbing any greasiness and reducing buildup. The Color Me Happy Dry Shampoo is one I do not recommend. It goes on with a tacky, hairspray-like feel to it, and it leaves lots of buildup which just get worse throughout the day. Color Me Happy is a great shampoo in general, with botanical silk which makes hair look shiny and healthy, and the lovely Morrocan Rose essence. However, the claims to be color safe are questionable. Many with colored hair seem to say that this shampoo prevents hair dye from bleeding out in the shower and from discoloration or fading, but this shampoo is not sulfate-free. Sulfates are strong cleansers that usually strip hair dye from the hair, causing it to fade much faster than it would otherwise. Use this shampoo if you like the scent and want a gentler cleanser, but you’d probably want to avoid sulfates if your hair is colored. 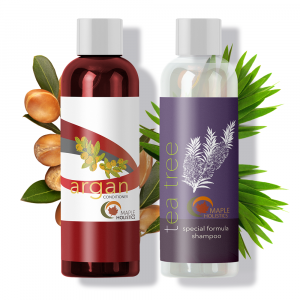 Cleansing conditioners are very popular for people with very dry or curly hair who want to clean their hair without removing its oils and further drying it out with shampoo. It’s especially beneficial during the winter months when the scalp and hair get extra dry. Co-washing, or conditioner only washing, can be done with any conditioner, but best results are achieved with a cleansing conditioner which have a bit of lather and to them and include gentle cleansing ingredients. To use, apply generously as you would a shampoo, working the product into the scalp and through all of your hair. You can section it off before co-washing if that makes it easier for you to reach every part of your hair thoroughly. The Herbal Essences cleansing conditioner is a very popular co-washing choice because it’s less expensive than some other cleansing conditioners but the results are incredible. 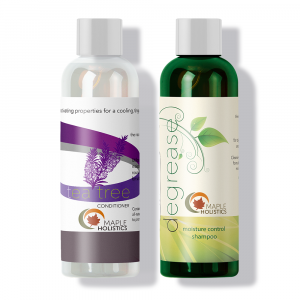 Moisture is restored, tangles are loosened, and hair feels fresh and clean. Wet hair is very vulnerable and prone to breakage, and being too aggressive de-tangling when it’s wet can be extremely damaging. If you’ve got curly hair, chances are that you can only brush it while wet, when it’s at its more vulnerable, which is why a product that aids in the de-tangling process can be so helpful in keeping your hair strong and in saving you time. The Totally Twisted Curl Silkening Detangler spray softens hair, makes it more manageable, smooths it out, and help knots loosen themselves, allowing you to be gentler and nicer to your hair. Herbal’s Hello Hydration line is incredible for dry hair! 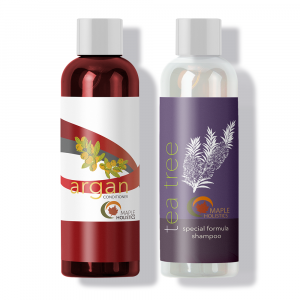 These products soften, they condition, they revitalize brittle hair… it’s pretty amazing. They are infused with coconut essences which smell buttery and tropical, and the coconut is part of what makes these so effectively moisturizing. I will say that if you have oily or fine hair these are way too heavy for you, but for everyone else, these are your new best friends. The line includes the Hello Hydration Moisturizing Shampoo, the Hello Hydration Moisturizing Conditioner, and the Hello Hydration 2 in 1 Moisturizing Shampoo & Conditioner. The totally twisted mousse for curly hair maintains frizz and defines curls. It has a level-3 hold which is substantial but isn’t too stiff for soft curls or beachy waves. It gives your hair really nice texture and protects from humidity all day long. Still, you won’t have an easy time finding mousse out there that make hair curls more defined and more softening than this one! It is a good, reliable mousse that is well worth the price. Related: Check out our Lush, Burt’s Bees, Axe, Pantene, Suave, That’s It, and Oribe Reviews! This hairspray has a level-4 strong hold, but hair-sprayed hair still feels flexible enough and awesomely bouncy. It gives really great volume to the hair and leaves a soft citrus scent behind. When it comes to selecting a conditioner, many of us will try a variety of different brands and products until we find one that works for us and our specific hair type. So if you’re feeling a bit overwhelmed by the sheer volume of different products that are available out there, don’t worry – that’s what we’re here for. Due to the nature of my job, I’m forced to try out a wide variety of different shampoos and conditioners on a regular basis, but there are always a few that tend to stick out as being worthwhile investments and I tend to use those more often than not. When it came to reviewing the Herbal Essences Long Term Relationship Conditioner, I didn’t really get my hopes up to be honest, as I thought it would simply be another cheap, off-the-counter bottle of shampoo like so many others in the ‘affordable’ section of the hair care aisle at the supermarket. However, I can say I was pleasantly surprised by the efficacy of this humble conditioner and it’s overall ease of use. In terms conditioning, the Herbal Essences Long Term Relationship Conditioner works in much the same way as a detangler, much like the Herbal Essences Totally Twisted Curl Silkening Detangler. However, unlike the Herbal Essences Detangler, the conditioner is a little more effective in the shower and helps to hydrate your hair follicles with it’s naturally infused blend of satin and red raspberry extracts. 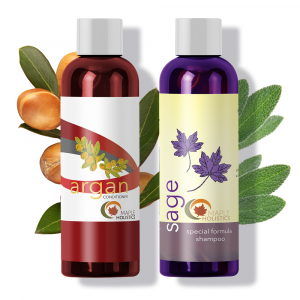 These are loaded with natural antioxidants which help to clear the scalp of any bacteria or toxins that may cause inflammation and ultimately dryness. It is this dryness that tends to be the cause of dandruff, so by preventing this, you can ensure that your scalp remains clear, hydrated and that your hair stays silky smooth over time. As far as conditioners go – the Herbal Essences Long Term Relationship Conditioner is pretty versatile. Not only does it have a really delicious scent (that has only helped me to calm down during showers) it’s also quite useful as a shaving cream – in case of an emergency or if you simply want to save some cash. However, I did find that after using this conditioner more than 3 times a week, my hair started to become frizzy again (even without using any heat drying or styling). I think this is largely due to some of the chemicals contained in shampoo and one in particular that should be noted is Methylchloroisothiazolinone. It was originally created as a biocide and is effectively used to help increase the shelf-life of the conditioner as well as kill off any microbes, germs or bacteria that may linger on the scalp. While some suggest that the limited dosage found in conditioners such as this, and the fact that we rinse it off means that it’s less toxic to us. However, research carried out by the European Scientific Committee on Cosmetic Products and Non-Food Products Intended for Consumers (SCCNFP), found that even in it’s small doses (and with rinsing off), the volatile nature of ‘MIT’ should be limited to around 0.01% in the ingredients list. However, because companies in the US do not have to follow these recommendations, they’re free to put as much of the stuff in their products as they’d like to (within reason of course). So because of this, and a few other chemical additions to the conditioner, I wouldn’t recommend using it too often to be frank. Yes Herbal Essences Long Term Relationship Conditioner is great if you’re low on cash or if you need of a conditioner but for long term use, I think the conditioner will probably cause frizz or dryness – unless you use it very sparingly. I would always suggest using a natural or purely herbal conditioner to ensure the best safety for both your hair and health, as well as the environment as a whole. But if you’re in need of a conditioner on the fly, or need a more mild shaving cream for your legs – then the Herbal Essences Long Term Relationship Conditioner is well worth a try. Is Herbal Essences Cruelty Free? Does Herbal Essences Test On Animals? Herbal Essences is a subsidiary of P&G, which is not a certified cruelty-free company. In their defense, Procter and Gamble pours a substantial amount of money into researching ingredient testing methods that don’t involve animals or humans, namely in vitro (test tube) testing and computerized simulations. 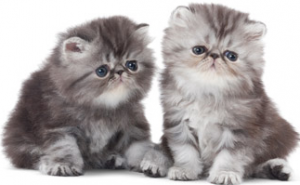 They use these methods most of the time, but they sell their products in China which is the only country in the world where products must be animal-tested to be sold legally, meaning that ultimately, most of their products are put through animal-testing. Be sure to check out our Physicians Formula, Jose Eber, Covergirl, Garnier, and Proactiv reviews while you’re here at Maple Holistics! Herbal Essences is one of my favorite hair care brands at the drugstore, especially for shampoo and conditioner, because they smell so great—not too chemically or sweet like some of the others—and they make my hair feel soft and strong. And I like knowing that my scalp and hair are benefiting from natural, botanical ingredients. Importantly, ingredients which are proven to make a difference in overall, and specifically hair, health.